Aquatica’s outstanding range of showerheads has just got even better with the introduction of our Polaris showerhead. 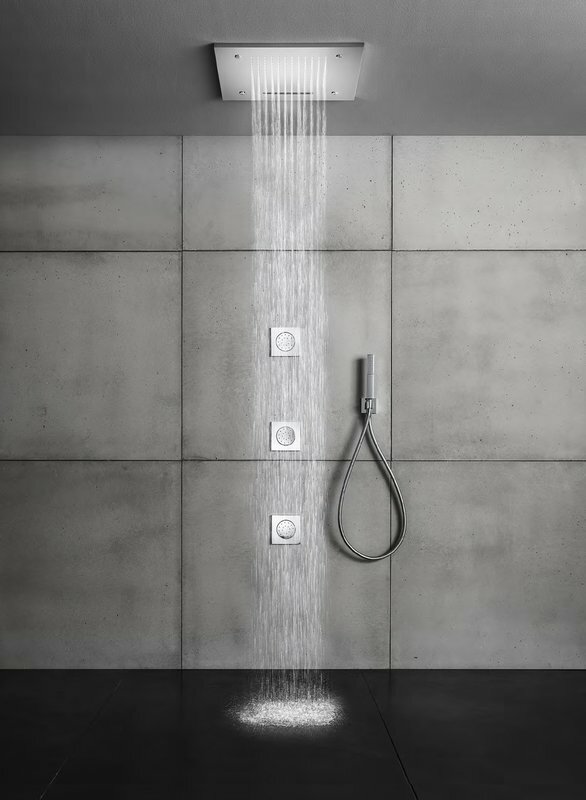 Stunning in its simple good looks, superlative in its function, this unique shower head comes with the added bonus of chromotherapy, for the ultimate in cleansing, relaxation and rejuvenation. In part this is due to Polaris’s triple flow water action from the generous sized, 500mm square, shower head. Choose from a cascading waterfall, an all-over shower of rain or a four-way misty spray depending on your mood. The whole experience is enhanced by the addition of chromotherapy lighting from the water jets. 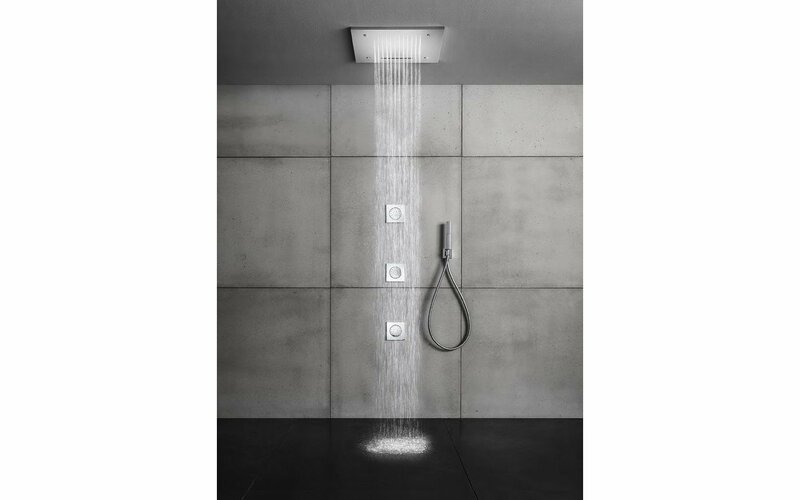 This creates a stream of colored light that flows through a cycle of nine colors as you shower. Chromotherapy is said to balance physical, emotional and spiritual "energy" in your body, to take showering into a whole new dimension. The very streamlined and stylish design is discreet and understated. 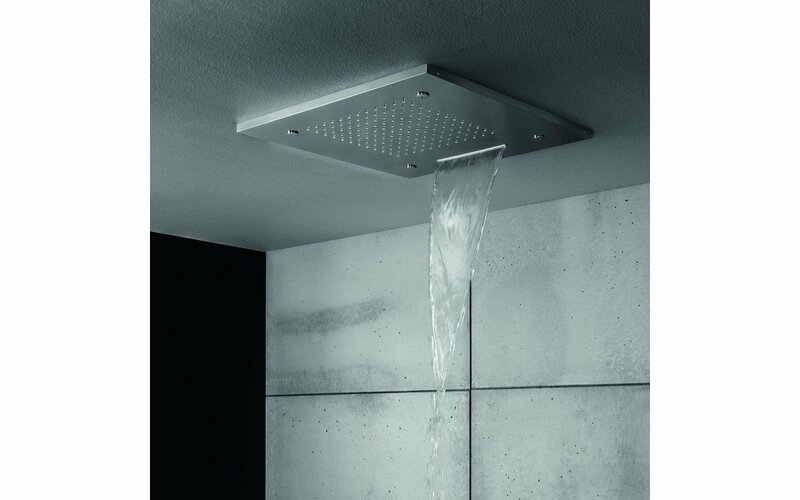 It sits almost flush with the ceiling and is finished in sophisticated brushed stainless steel, to give you a very smart shower solution.